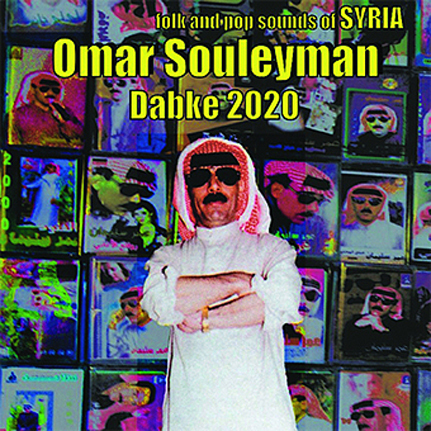 Sublime Frequencies is pleased to present the 2nd volume of Northeast Syrian Dabke music from legendary vocalist Omar Souleyman and his group. This CD was compiled by Mark Gergis to coincide with the Sublime Frequencies UK/European tour in May and June of 2009 featuring live performances by Omar Souleyman. Culled from dozens of cassettes recorded in Syria from 1999-2008, the music here is an extension of Omar’s “Highway to Hassake” release touching on some previously unheard angles. Their trademark serpentine synthesizers, electrified bouzok (traditional stringed instrument) and driving rhythms forge a severe form of “new wave dabke” with a live energy and integrity that captures the essence of the Syrian Northeast; one of a kind Syrian Dabke party tunes, regional Atabat-styled crooners, and unbelievable Iraqi party jams. The CD is packaged in a cardboard sleeve with paper insert. The LP vinyl edition is a reissue of the original CD released in 2009.